Hello, newbie here. The last few weeks I've been working on converting my first fat bike with a BBSHD. I installed the BBSHD and plugged in the battery for the first time a week or two ago and both the throttle and the PAS worked fine. I didn't have my brakes set up though, so I didn't take it out for a real ride. It's hard to see, but there is a tiny cut on the casing, but not much in the way of exposed wires. The cable was twisted pretty good though. - Checked all the connections. I had applied dialectric grease, but nothing looks wrong. - Tried a spare throttle. I would expect the PAS to work even if the throttle was broken, but worth a shot. - Plugged in an ebrake sensor to the gear sensor and held the magnet up against the ebrake sensor. Didn't expect this to work either, but again, worth a shot. So, I don't know how the gear sensor cable works, but my thought is that when the gear sensor cable twisted/ripped, the internal wires connected and are telling the motor to shut off. To someone with more knowledge, does that make sense? I figure a fix could be for me to cut the gear sensor cable below the twisted and fix the internal wires with silicon sealent or epoxy or something to keep them separated. Before I do something like that though, I wanted to explain my situation here. Any thoughts? I would be inclined to try what you suggest, particularly if you have no plan to use the gear sensor. 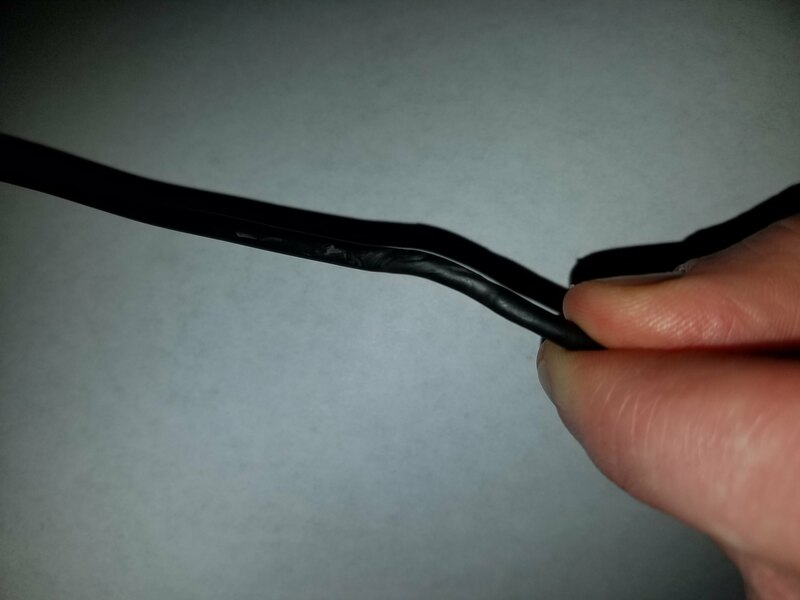 Before cutting any wires you could just try to remove the outer part and expose the small wires inside. Also, those same wires may have been damaged inside the controller housing if you can't find anything wrong with the external wires. Hopefully it didn't pull stuff out of the controller. By "remove the outer part", do you mean the wire casing? Would you recommend just using a utility knife or is there a better tool? Thanks for your suggestion about the controller. I'll try taking that off next. I guess if the worst case scenario is that I'm replacing the controller, then I'll consider myself lucky. Yes, the wire casing is what I meant by outer stuff, so you can actually see if the wires have been damaged. Probably fairly tough stuff so a razor knife of some sort would probably be required, you may be able to score the entire length and then just pull the wire casing apart by hand. As far as I know and have read elsewhere the gear sensor works just the same or almost the same as the brake cut outs so that when the circuit is connected the motor shuts down. I wouldn't bother removing the controller except as a last resort, but there is a tangle of wiring in there and an extreme pull on one wire may have dislodged a connection, etc. With the controller just hanging by the wires you can carefully test the system to make sure it is working before putting it all back together. This is where a spare controller comes in handy so you can verify that it is indeed the controller that needs to be replaced. My experience is all with the BBS02 models, but I expect they are wired pretty much the same. Good luck getting it figured out. Aha, I simply cut the wire below the twist and sure enough- it worked! Perfect timing too as I was able to test it out my fat bike on the fresh 10" of powder we got this weekend. I'll simply epoxy the end to try and permanently prevent the wires from ever touching again. And I'll be sure to zip tie what's left of the cord! Thanks for your help Rassy!